The future USS Michael Monsoor leaves Bath Iron Works to head out to sea for trials in this photo from Dec. 4, 2017, in Bath, Maine. The company announced on Friday, March 30 that 31 painters would be laid off, bringing to 58 the number of employees who are on temporary layoff. One day after the Maine Legislature gave its final endorsement to a $45 million tax break for Bath Iron Works, the company announced on Friday that 31 painters would be temporarily laid off. Friday’s layoffs will bring to 58 the number of employees still out of work after previous layoffs, according to Mike Keenan, president of Local S6 of the Machinists Union, the company’s largest union. The move comes three days after the Maine House of Representatives voted 117-31 to approve a $45 million tax break for the company and a day after the Senate gave it final passage. The bill, which awaits the signature of Gov. Paul LePage, has been under scrutiny for months as legislators debated whether the state receives enough return for the tax credits, which in this case comes in the form of lost tax revenue on one hand and more than 5,000 high-paying jobs with benefits on the other. BIW has received a total of $60 million in state tax breaks over the past 20 years, which started in the 1990s when the shipyard was in danger of failure. That package of tax credits expired, prompting Rep. Jennifer DeChant, D-Bath, to introduce a new bill this year. The Legislature’s Taxation Committee amended her original version to include new conditions and benchmarks. Among other conditions, the current version of the bill requires BIW to maintain at least 5,500 jobs — up from 5,000 in the initial bill — to receive the full tax break. “I don’t know how you face the committee,” Keenan said Friday. “They [testified before] folks in Augusta on Tuesday and they didn’t even get through the week” without laying off workers. Shipyard officials had testified before the Taxation Committee earlier in March. They were at the State House this week to lobby for the tax credit bill. Bath Iron Works currently employs approximately 5,700 workers, spokesman David Hench said Friday. He also said that between attrition and new hires, BIW expects to hire and train approximately 500 people over the course of the year. 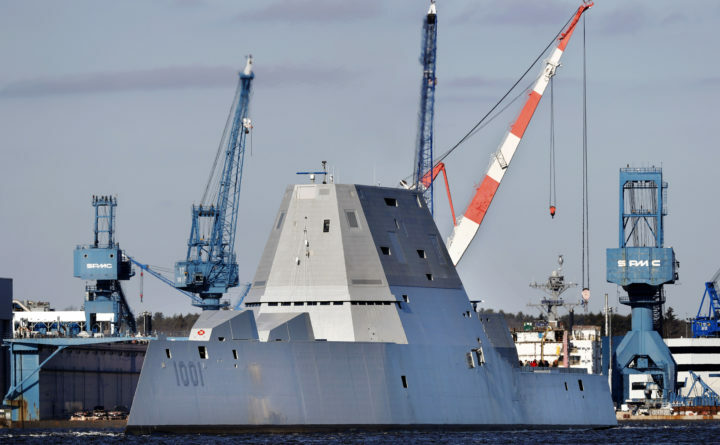 Temporary layoffs are a fact of life at the Bath shipyard as the syncopated pace of building multiple Navy destroyers at the same time dictates which departments will be busy or fall into a lull. “We know we will need these people and their skills as preservation technicians in the near future,” he said. In February, BIW laid off nearly 60 electricians. Hench said BIW is currently seeking to fill more than 100 positions in the structural trades. He said the company would prefer to assign those jobs to workers being laid off, if they are skilled in the trade.